As a Salomon Snowboard team athlete for the last two decades, legendary snowboard talent Wolle Nyvelt has long had a well-respected voice in the development of the brand’s products. He’s worked closely with the brand’s engineers to help create some of Salomon’s most well received boards, and it’s no secret that rider-driven engineering is crucial for their success. Now, as Salomon celebrates the 10-year anniversary of the highly-acclaimed Sick Stick with the launch of the Hillside Project, the partnership with Wolle has come full-circle. Over the last 20+ years Wolle has evolved to become a highly regarded shaper of boards, using learnings and resources from his years with Salomon to create his own AESMO line of binding-less snowboards. So, to create the new Hillside Project boards for the 2017 season, Salomon turned to Wolle for his acquired knowledge of shapes, construction and skill. In fact, new Salomon prototypes are currently being produced out of Wolle’s small factory in Austria and are held up to the highest standard of quality and creativity. Since its debut at retail in 2007 the Sick Stick has continued to add to the brand’s community of riders by focusing on the soul of snowboarding and providing the growing powder slashing market a board that’s unmistakably sick. As the global trend of carving lines in snow continues to rise, so does the need for a board that meets the endless opportunities of freeriding. Salomon Snowboard Brand Manager David Pitschi says the collaboration with Volle truly comes from the heart, noting that the brand has had a relationship with the Austrian since well before he even started shaping snowboards. 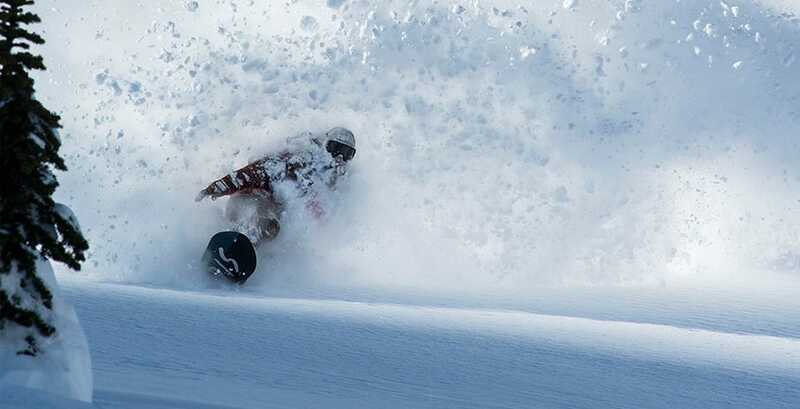 Salomon Snowboards has also formed a Partnership with Island Lake Lodge Catskiing in Fernie, BC, Canada, based on sharing their roots, passion, and focus on the soul of powder riding and providing the growing powder slashing market a board and place that are unmistakably sick. As passion for carving lines in snow continues to thrive, so does the need for a board that meets the endless opportunities of freeriding, each guest at Island Lake Lodge has the opportunity to ride Salomon’s Hillside boards with custom Island Lake Lodge graphics. The Hillside Project promotional video, which can be watched here https://youtu.be/RaA4fehk18w , has been filmed in its entirety at Island Lake Lodge.